Chilla: Best Emergency App	No ratings yet. lead freer and safer lives and men could also use it. A revolution in field of personal security, Chilla is the ultimate safety app for 2016. Chilla is a personal safety & security app that can be triggered by just a shrill scream. With Chilla your Smart phones are now being used as the tool to promote women safety under crime prone situations. Except from Chilla Dozens of apps have been developed which allow users to automatically send SOS alerts to their emergency contacts at the click of a button. However, in the time of crisis, it might not always be possible for someone to take out their phone and access these features quite easily. 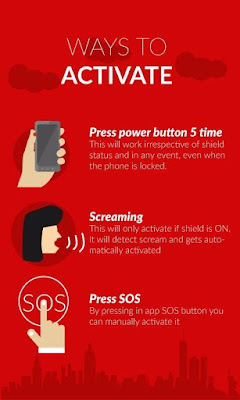 But with the Chilla app you can trigger the sending of SOS alert to emergency contacts by screaming with a really high pitch. This app makes sure your personal security is not at stake even if you can’t access your phone. The app is able to recognise a high-pitched scream even if the phone is kept inside a bag. Also, the app can be triggered by pressing the power button 5 times. 2.Sends Email with Audio Recording. 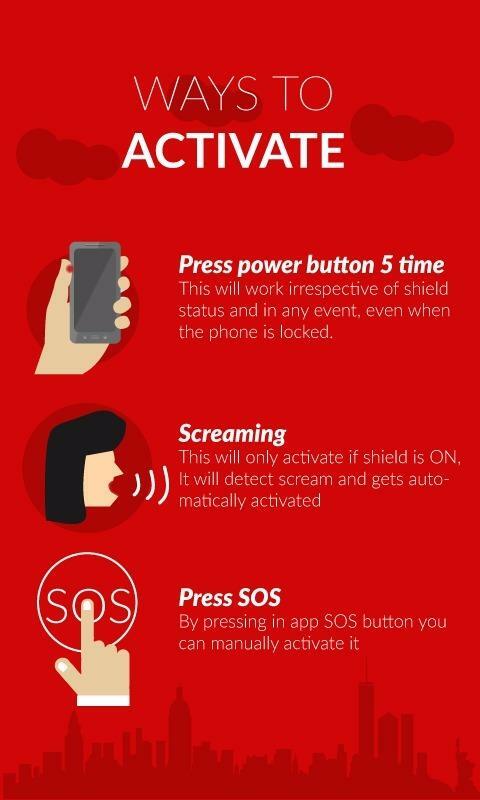 If a scream is detected the app automatically unlocks the phone and places a call to the emergency contact selected by the user. The power button feature works even if the app is not on. Chilla virtually acts as your safety when you are in distress and goes a long way in ensuring your personal safety so that With an elegant yet simple interface it is extremely simple to use. Not just the safety of women, the safety mode can be additionally customized to cater to the safety of men too. Besides, the app can be used in case of emergencies too, for example during a heart attack, the victim’s location and recording can be immediately sent without unlocking the phone (just by pressing the power button ). It can also be used in case of any sudden attack or thug or when there threat to personal safety as one can just silently put his hand in pocket and press the power button to send out alerts. Most of you might ask how would the app differentiate the scream from a normal everyday noise around the user. Well the app focuses on the frequency of the scream as opposed to its volume. The app settings let you toggle between Scream modes ranging from ‘Very sensitive’ to ‘moderate’ and ‘most accurate’. Users can switch on the safety mode as per their requirement, providing them with 30 mins of protection every time the app is toggled ‘ON’. On asking whether an iOS version of the app will soon be available, he said, “There are no plans as such”. 15+ Proven Life Hacks for you!